This is an image from Squaw Creek Nature Preserve in Missouri from earlier this year. I saw all kinds of waterbirds that I had never seen before or knew what they were. 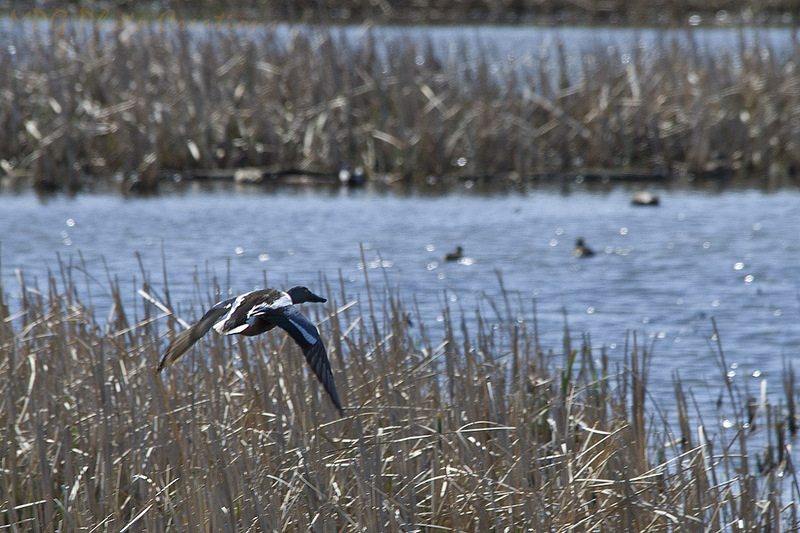 I incorrectly identified this one over on G+ and was told by a reliable source that it is a Northern Shoveler Male taking off to a new spot on the marsh.